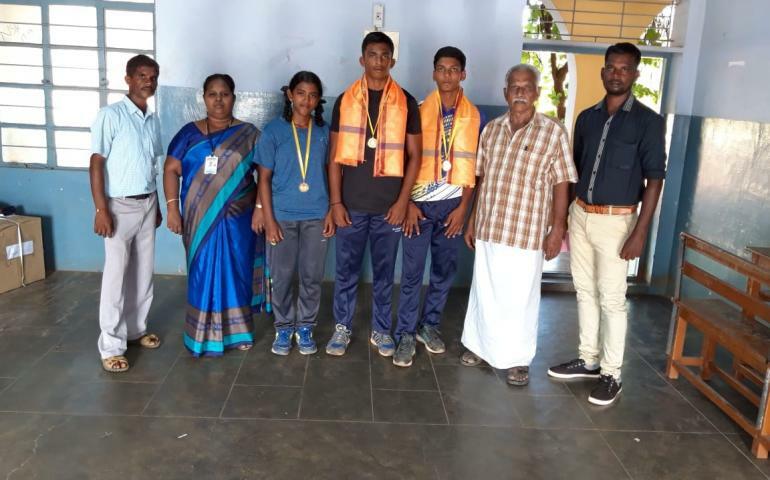 The 33rd state level Junior Athlete event was conducted at Chennai on 17.08.2018. In the event, our school students won gold medals and they were selected to National level. P. Selva Ganesh (XI std) achieved two gold medals in shot put and Discus throw. R. Mahendran (XI std) won gold medal in Javelin throw. We are very proud to convey that our winners are going to participate in the National level athlete event in Gundoor, Andhra. Winners were appreciated and honoured by our school correspondent Shri S.K Subramanian, Principal Mrs. R.Andal, PET Masters, teachers and parents.